The versatile ThinStak® X-Ray Open Shelf Filing System helps keep your medical documents organized and accessible while taking up a minimal amount of floor space. Space Saver: When compared to lateral filing cabinets, this model stores more than 50% additional files while taking up 27% less floor space. 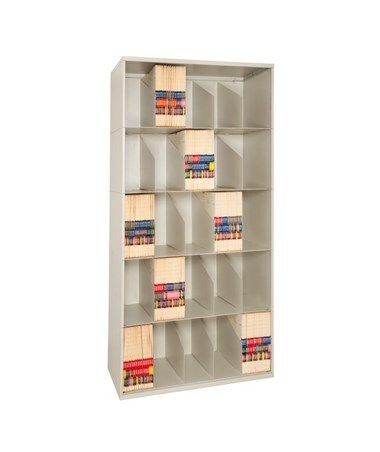 It consists of individual stackable shelf tiers with fixed dividers on each tier, creating a complete shelving unit. 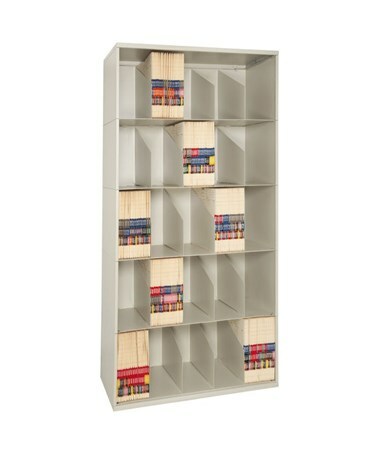 Its configurable design allows you to add additional tiers for more storage space. It is incredibly durable and sturdy, manufactured from rust-free cold rolled steel without any sharp edges. The tiers are welded together using the latest manufacturing technologies for a true state-of-the-art, dependable shelving unit. Specifications: Each tier on this model is 15" high with a 14 7/8" inside clear opening. The depth of the unit is 19 3/16" and the overall width is customizable. The overall height for the 5 tier is 77" and for the 6 tier 92". Each customizable model has a different amount of LFI (Explained below). The ThinStak X-Ray Filing Unit comes with several customizable options in order to provide you with the perfect product that fits your specific needs. Select your preferences from the drop-down menus above. Fixed dividers provide ultimate organization. 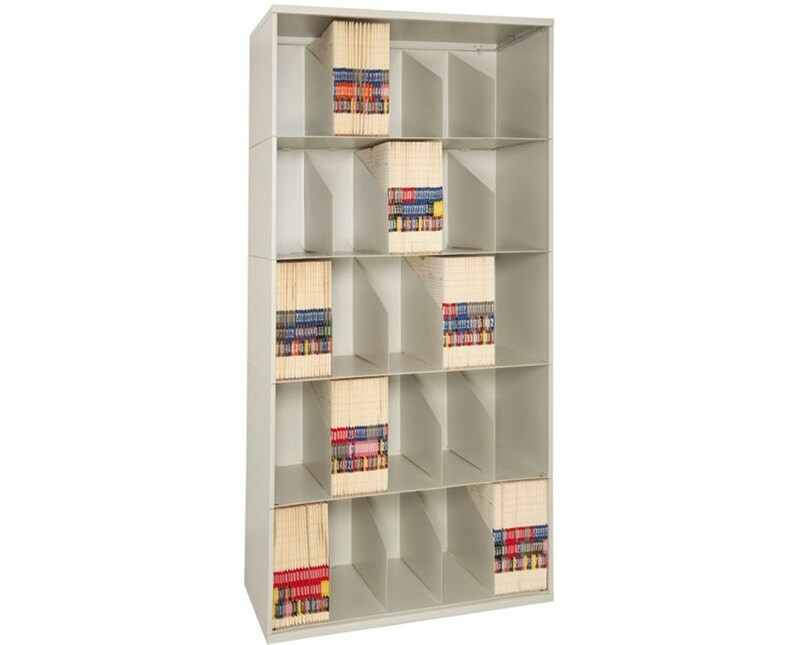 Height 5 Tier: 77", 6 Tier: 92"
Width 24", 30", 36", 42", or 48"
Product Weight 101 - 215 lbs.